Gary LeRoy, associate dean for student affairs and admissions at the Boonshoft School of Medicine. 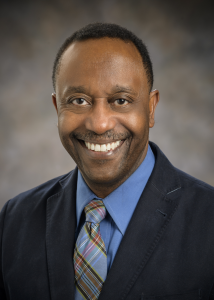 A Dayton physician, Dr. Gary LeRoy, is the new president-elect of the American Academy of Family Physicians. The national physician group represents 131,400 physicians and medical students. LeRoy is a staff physician at the East Dayton Health Clinic. He also is the associate dean for student affairs and admission at Wright State University Boonshoft School of Medicine in Dayton, where he also is an associate professor of family medicine. He will serve a one-year term as president-elect before beginning a one-year term as president of the group in 2019, followed by a one-year term as chair of the board of directors. LeRoy had served as president of the Ohio Academy of Family Physicians from 2004 to 2005 and currently serves as a board member. LeRoy earned both his bachelor’s and medical degrees from Wright State University. He completed his family medicine residency at Miami Valley Hospital, and a primary care faculty development fellowship at Michigan State University.